US President Donald Trump may soon revoke the protected status from Bears Ears National Monument, in southeastern Utah, opening parts of the area to mining and oil companies under a recommendation that Interior Secretary Ryan Zinke issued on Thursday. Bears Ears, one of the 27 national monuments President Trump is taking a second look at, covers 1.3 million acres, including land considered sacred to Native Americans. The monument, one of the 27 President Trump is taking a second look at, covers 1.3 million acres (about 5,260 square km), and it includes land considered sacred to Native Americans. Former President Barack Obama designated it a national monument near the end of his time in office and if Trump decides to reopen it for commercial mining and drilling, it would be a direct blow to his predecessor’s environmental legacy, and the first major test of a century-old conservation law, The New York Times reports. Shrinking the protected area or plainly abolishing its status of national monument is likely to be met with vocal opposition from environmental groups, outdoor outfitters and Native American tribes, who argue federal protection is not only better for the environment, but better for the economy in a rural, economically depressed area of the Beehive State. They have vowed to file lawsuits if Trump attempts to rescind or reduce the monument designations for Bears Ears and the other 26 sites under revision, AP reports. Zinke said he has recommended that no national monuments should be eliminated. “The recommendations I sent to the president on national monuments will maintain federal ownership of all federal land and protect the land under federal environmental regulations, and also provide a much needed change for the local communities who border and rely on these lands for hunting and fishing, economic development, traditional uses, and recreation,” he said in a statement released through the Department of Interior. 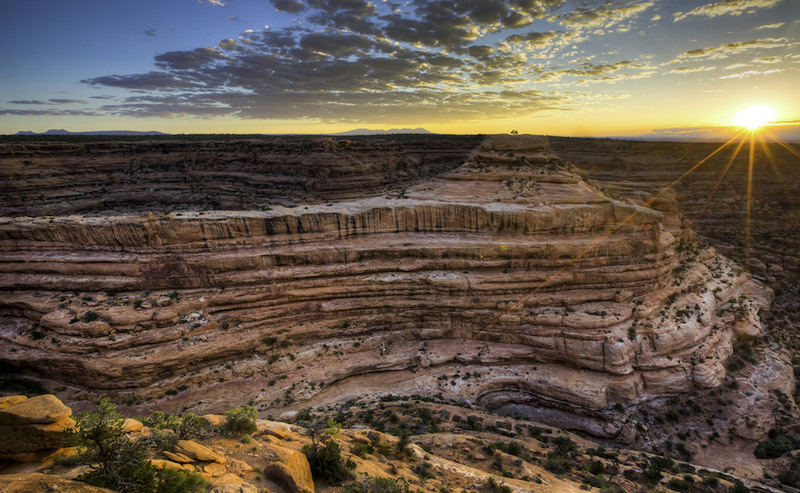 Supporters of downsizing national monuments rather than eliminating them argue that state governments are better suited to make management decisions that would ensure federal lands are used for a mix of uses. Last month, a group of Utah and Arizona officials asked Trump to end a 20-year ban on uranium mining near the Grand Canyon, which came into effect in 2012. Zinke recently announced he would recommend no changes for six of the monuments on the list — Craters of the Moon, Hanford Reach, Upper Missouri River Breaks, Grand Canyon-Parashant, Canyons of the Ancients, and Sand to Snow.